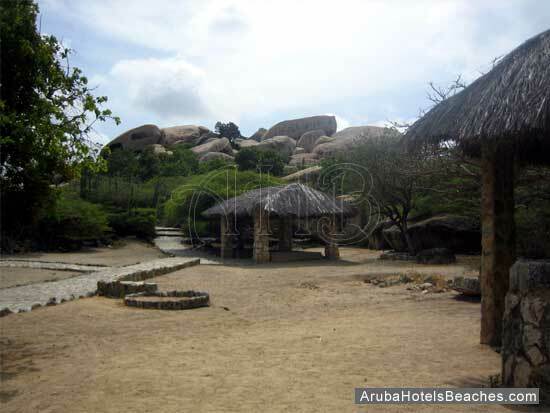 The Ayo and Casibari Rock Formations are one of the most interesting and popular Aruba attractions. These are two separate areas that are worth seeing. You should have no problem finding them on your own if you rent a car. Of course you always have the option of joining a tour group. 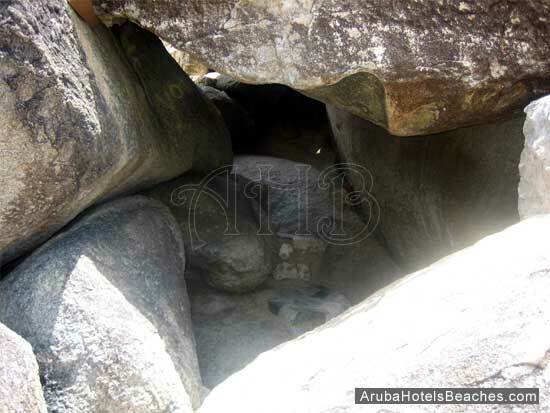 Both of these rock formations can be visited free of charge. There are no set hours but I suggest early morning to beat the cruise ship tours, or late afternoon to view the sunset for some great photos. 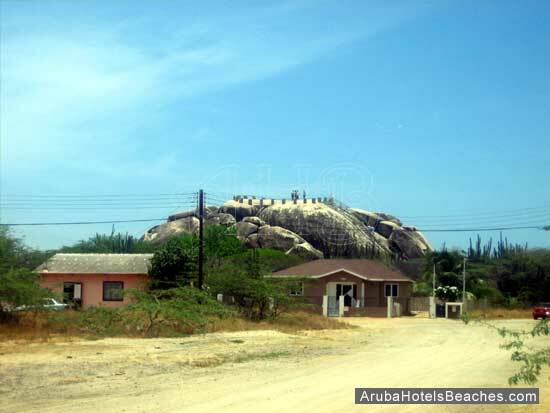 The Casibari Rock Formations can be found north of Mount Hooiberg. The geological experts are uncertain about the origin of these huge tonalite rocks. 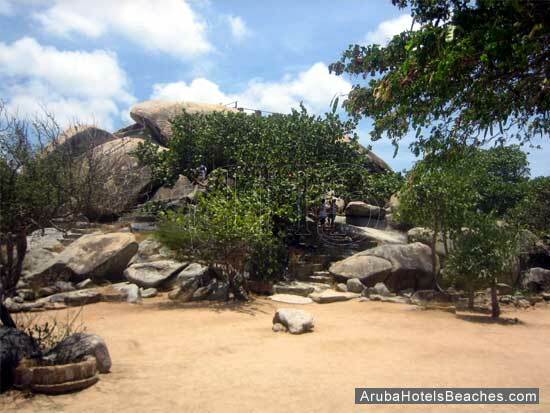 Some believe these giant wind carved boulders resemble various shapes of birds and dragons. 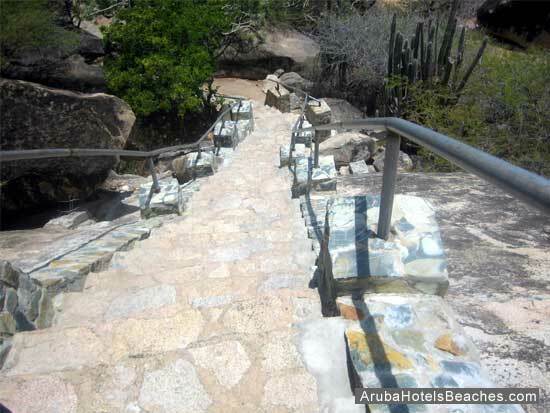 The climb to the top of the Casibari Rock Formations can be a bit tricky if you are elderly and not in the best physical shape. The little ones may have a difficult time as well. It only takes a few minutes to climb to the top but watch your step. There was a time when there was nothing to hold onto which made it difficult for everyone to climb. 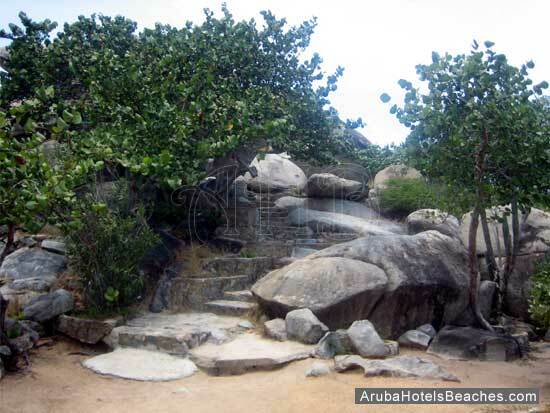 There are walking trails around the area and steps to climb. 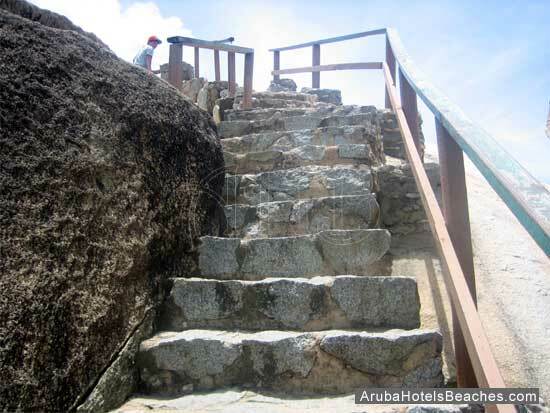 The Aruba government built a railing to help visitors to get to the top safely. Most people have no problem climbing the Casibari Rock Formations as long as they are wearing comfortable shoes, are holding on to the railing, and remember to duck at the appropriate times. While making the climb take note of the cacti, owls, lizards, and unique trees and plants that surround the area. You might get some cool photos. 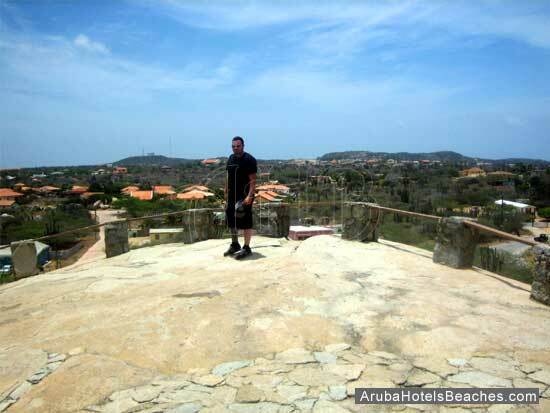 Once you reach the top you will notice the spectacular panoramic view of the island and you will be rewarded by the beautiful cool trade winds. 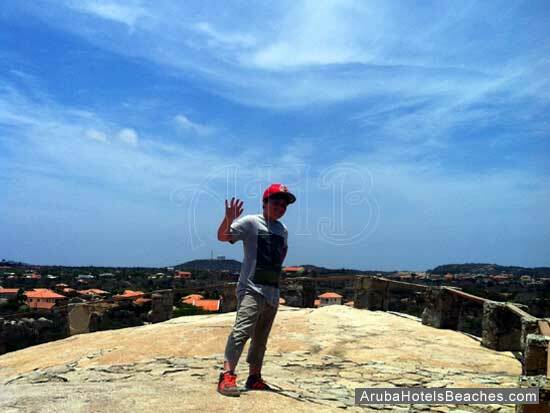 Be aware though, on certain days it can be pretty windy up at the top of the Casibari Rock Formations. On a really clear day you should be able to see the coastline of Venezuela. 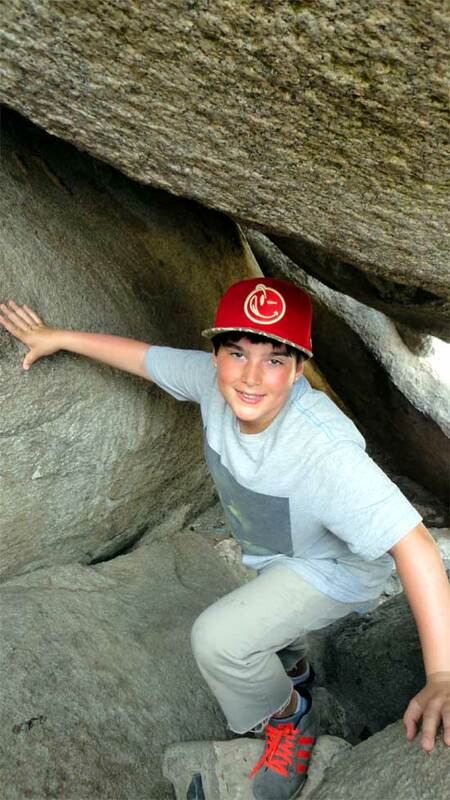 My 11 y/o grandson, CJ loved the climb to the top! Hold on and take your time on the way down, some steps are very steep, especially if you are short like me! 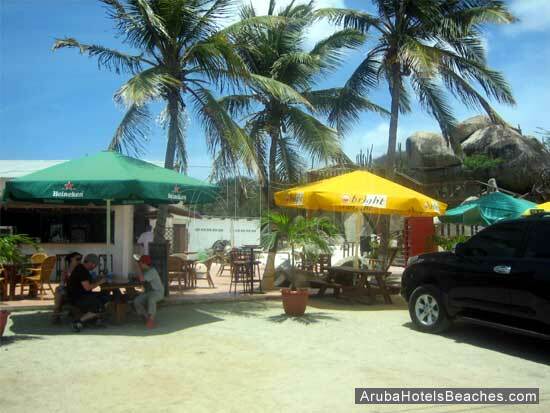 Reward yourself with a drink at the snack bar or purchase souvenirs at the souvenir shop. There are rest rooms across from the snack bar if needed. 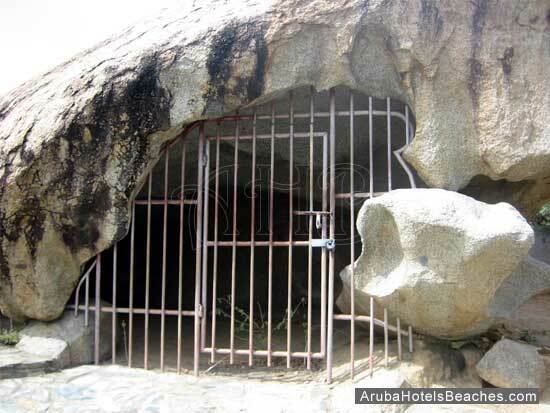 The Ayo Rock Formations are monolithic rock boulders located near Ayo village, northeast of Mount Hooiberg. There are trails and paths to walk on but you will not find any railings in this area. The Ayo Rock Formations are seen in a heap of monolithic boulders. These huge boulders are unique considering this island is basically flat. You are left on your own to climb these rocks. There are no railings to assist your climb. 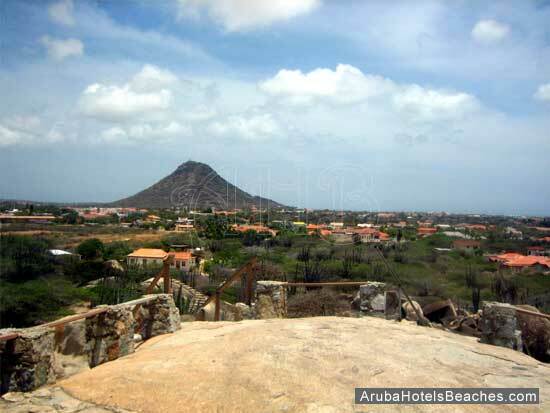 The earliest settlers on the island of Aruba were the Arawak people. 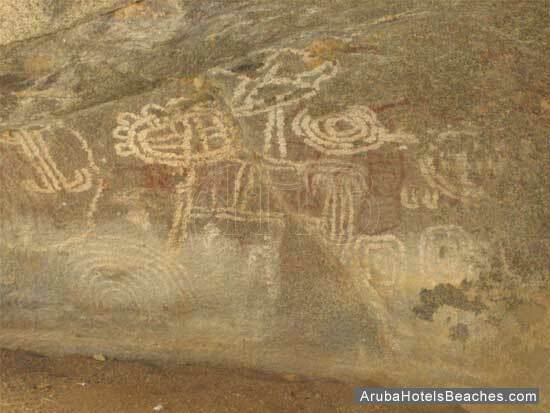 The photos below show the paintings that were carved into the rocks. These petroglyphs were made by the Arawaks and are now protected by gates. 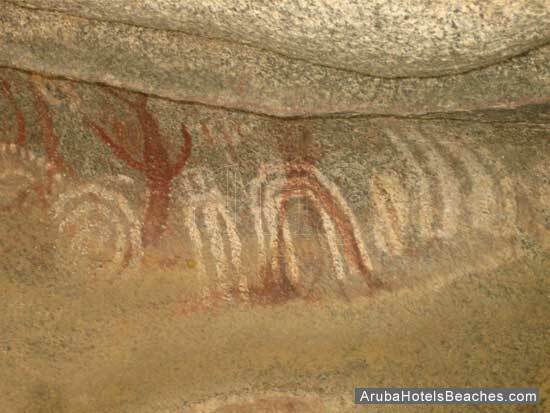 These Arawak rock drawings date back thousands of years. The Arawak people considered this area to be a sacred site and held religious ceremonies here. 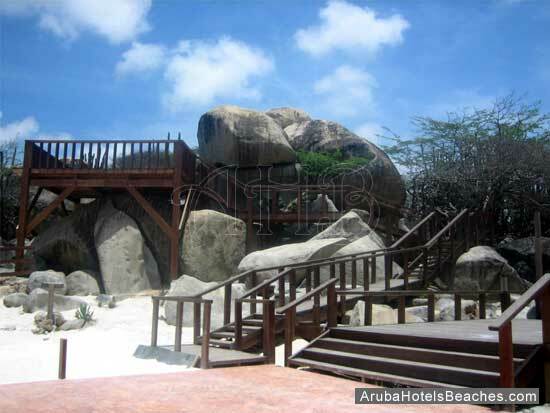 So if you are looking for things to do in Aruba, don’t miss these unique rock formations. 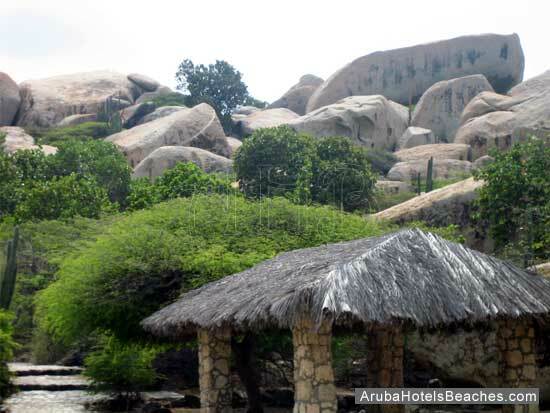 The Ayo and Casibari Rock formations are one of the most popular attractions to visit on the island of Aruba. 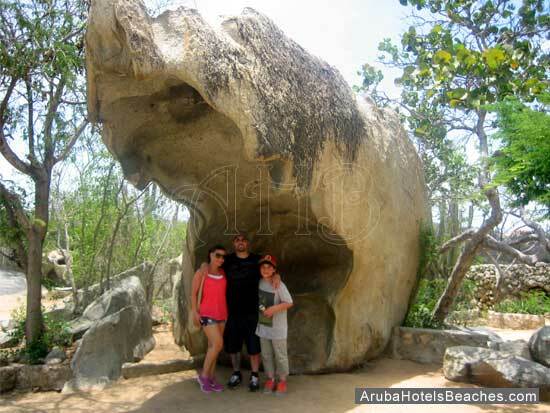 If you are looking for other activities in Aruba following your visit here why not stop at the Natural Baby Bridge for another Aruba experience!